So you need to measure the amount of sodium chloride in your food products. 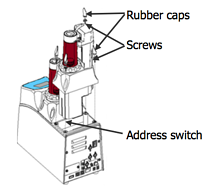 While we have written about this topic previously in other posts and addressed some of the approaches used to test for % sodium chloride (including the use of hand-held salt meters) we have found that it is a more common practice to use an automatic titrator to accomplish this task. In fact we think it is the preferred instrument and method of choice. To be sure there are pros and cons to using different methods but we still find that titration is accepted as the primary method for getting the most accurate results. 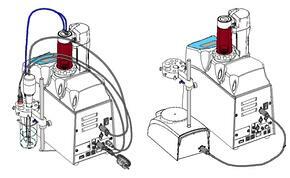 Although salt meters using the conductive method are faster (3 seconds vs. 2 to 3 mintues) and can be employed quickly in a production line process, titrators can also be implemented in the same testing environment with modest effort. Additionally and regardless of how the tests were performed on the production line, titrators are generally put to work in the Quality Control/Quality Assurance Lab as a final check against periodic production line testing. 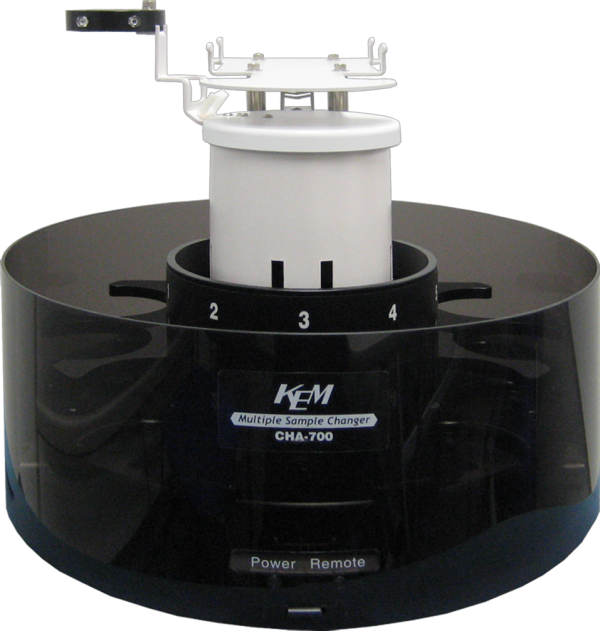 Supporting the use of titration as an accepted method includes some well known documented techniques including Mohr's and Volhard's methods making titration a recognized and trusted approach. Luckily we have already thought about this and put together a list of 8 items your going to need. 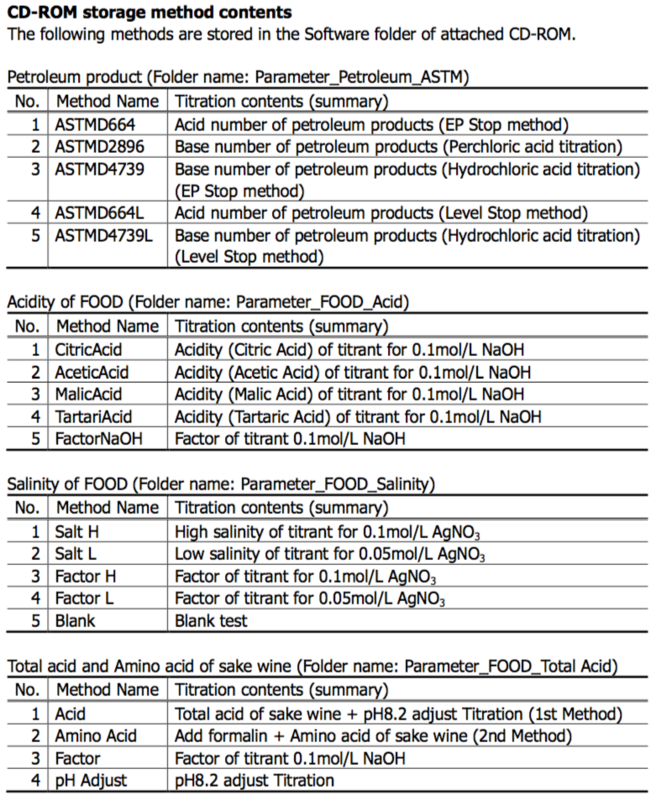 We also created an application-note providing step-by-step instructions for you to follow to conduct a titration. Many companies produce the foods we eat. Do you ever wonder why or how they test for salt during the production process? Salt which is made up of 40% sodium and 60% Chloride is an important ingredient found in food. 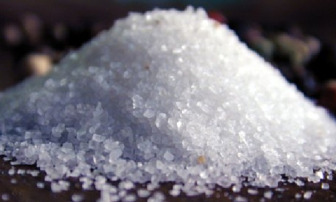 While salt can make food taste better, control color, and maintain food texture, it is also considered a health-risk factor (mostly due to the sodium). Measuring and controlling the levels of salt between the extremes is a constant battle. Producers of processed foods generally have the biggest need for identifying and controlling salt levels to address not only the taste, color, and texture of foods but also to address some of the healthier eating lifestyles more and more consumers are demanding. For these reasons it is paramount that salt is measured accurately. So how do we do that? Food comes in a variety of forms. Solid, Liquids, pastes, creams, pieces, chunks, wafers, crackers, gooey, sauces, liquids with chunks in them...let's see what else..Anyway, you get the idea. There are a lot of ways food can be produced and consumed! So what device or devices can we use to measure the salt found in these numerous forms of processed foods? Well, there are a number of "salt meters" out there that can measure salt. 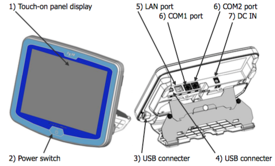 However, not all salt meters can measure the particular salt you are looking for in the same way. In fact some "salt meters" can only measure salt under certain conditions and or in certain substances like water or sea water. For this reason it is important to first consider what your going to be testing. For example, If your food sample includes "food stuff particles" that you can grind into a paste form, then you can probably use a salt meter that utilizes the conductivity method. On the other hand if you have a brine that you immerse food into and your only concerned with the liquid then perhaps a different salt meter will work. The point is this. The form of the food at the instant you are going to perform the test is key. Many types of foods can be formed into pastes and diluted with water. 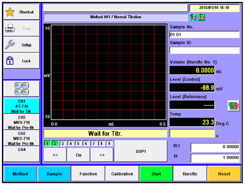 If the food you need to test is like this then a simple salt meter utilizing the conductivity method may be able to perform the test to your satisfaction. I say may because % salt levels and other accuracy factors may require that you use an entirely different method of titration known as silver nitrate titration instead. The Mohr method, also known as a silver nitrate titration method, utilizes the characteristics of silver nitrate that reacts with chloride ions to measure the salinity %. Conversley, some of the more popular salt meters emloy the electric conductivity method. 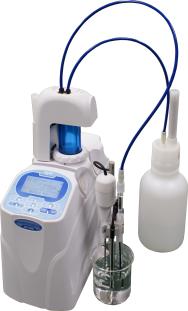 Both methods measure the salinity but operate on different measurement principles. However, by creating a conversion table between the two testing methods, correlation between the set of results can be seen. Aside from the measurement capabilities of each approach there are pros and cons to each. While each method has benefits we have recently found through some informal surveying that some food processors are choosing to use both methods. These companies are finding that it is easier to use the hand held devices and perform quick spot checks on the production line. If any problems are identified on the production line then further verification and testing can be performed using the titration approach. Some think using this collaborative approach is ideal. 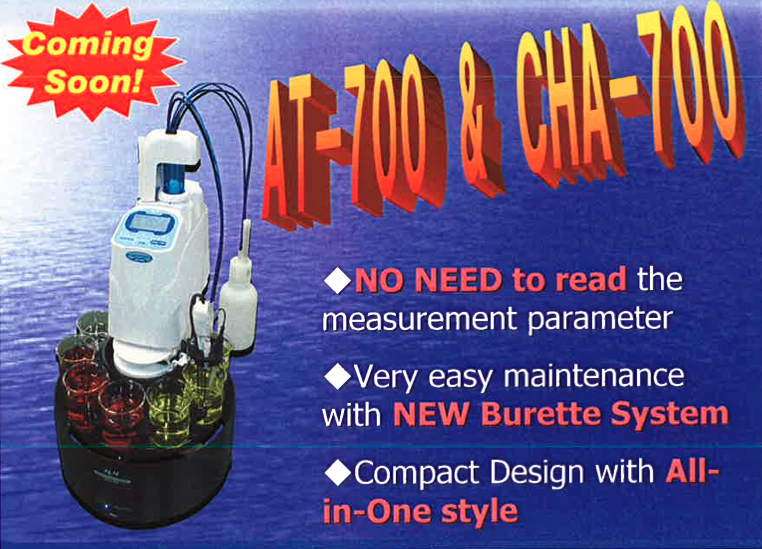 Sneak Peak at new Potentiometric Titrator AT-700! We're told this new design will make significant improvements with the measurement of Mercaptans down to 1PPM (ASTMD3227,UOP163,IP272). *Advantages include a special sealing cell and electrodes to avoid oxidization of mercaptan sulfer under atmospheric conditions. *Application: Determination of mercaptan sulfer and hydrogen sulfide in fuels and liquid petroleum gases (LPG) is one of the important applications in petroleum and gas analysis. 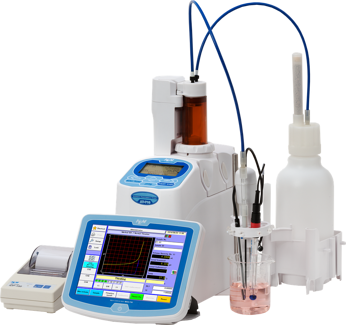 We anticipate this newly designed Potentiometric Titrator will serve many other titration applications and provide operators with a compact yet fully automated functioning titrator. 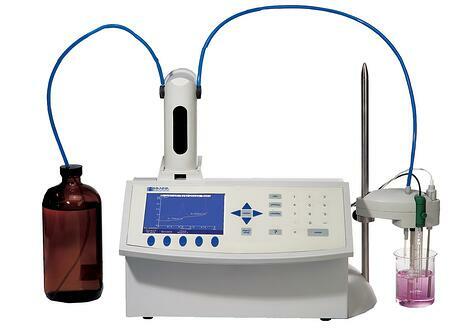 As we receive more information on this new titration system we will let you know.